What can we learn about the Apostle James? What did his life and death look like? 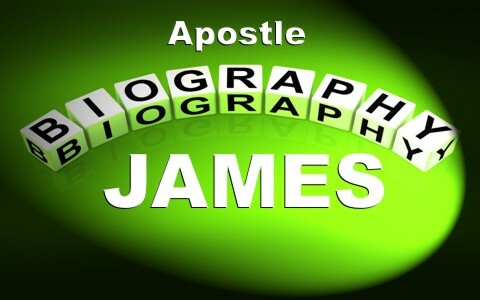 The Apostle James was one of the so-called “Sons of Thunder” and specifically named “James, son of Zebedee” and is sometimes called “James the Greater” because there were at least three other James’ in the early church. One of the James’ was called “James, son of Alphaeus” and another James called “James the Just” who became the patron saint of Spain and Portugal, although that is extra-biblical (or outside of biblical evidence). The Apostle James was the brother of the Apostle John and James was the first apostle martyred, probably around 44 AD. James was in the so-called circle of honor among the apostles with Peter and John and they were privileged to be eyewitnesses of the Transfiguration (Matt 17:1-9). They were also among the privileged few apostles that witnessed Jairus’ daughter being raised from the dead (Mark 5:37) and were with Jesus in the Garden of Gethsemane (Matt 26:36-37) on the night that Jesus was betrayed and arrested. When Jesus called Peter, He also later called the Apostle John and James, and all three were fishermen. Jesus’ intention was to make them “fishers of men.” The disciples that Jesus called were likely not very popular in society, especially among the religious leaders, yet their occupation provided a critical need for the society as fish were staples among the residents in Judea. Even so, they were looked down upon by the Jewish leaders, the Roman authorities and even among the population in general. These were not refined, polished men with great speaking skills but were probably looked down upon as country bumpkins or ruffians since their hometown was Capernaum. They would have been on the low rung of society in that day, however God has a history of calling and using men and women who the world has little regard for and thinks very little of. The Apostle John and his brother James were, in the beginning, hotheads. When Jesus went to a Samaritan city they were spurned by the local residents and this angered James and John. What was their reaction to the people rejecting Christ and essentially rejecting them? They asked Jesus “Lord, do you want us to call fire down from heaven and consume them” (Luke 9:54)? Jesus rebuked them for their attitude (Luke 9:55) and said “the Son of Man did not come to destroy men’s lives, but to save them” (Luke 9:56). The interesting thing is, did they really have authority to call fire down from heaven like Elijah did when he took on the 850 prophets of Baal (1 King 18)? Was that a proper response at all? This was not likely the only time that they lost their tempers and shows that they could be rash and impulsive, which was a little like Peter at times. James was not the first Christian martyr at all as that was ascribed to Stephen who was stoned to death in Acts 7:54-60. James’ death was the result of being beheaded and we see this recorded in the Book of Acts (12:1-3): “About that time Herod the king laid violent hands on some who belonged to the church. He killed James the brother of John with the sword, and when he saw that it pleased the Jews, he proceeded to arrest Peter also. This was during the days of Unleavened Bread.” So the Apostle James was the first Apostle to die from martyrdom. Only one apostle escaped dying for his faith and that was, ironically, his brother, the Apostle John. Some people confuse the Apostle James as the author of the Book of James but that James was the half-brother of Jesus who only professed faith in Christ after Jesus rose from the dead. By the time that Book of James was written, and it appears to be the first book written in the New Testament around 45 AD, James the son of Zebedee had already lost his life. Only a few of the apostles wrote books in the New Testament and James the son of Zebedee was not one of them, however his brother, the Apostle John, wrote five books; the Gospel of John, 1st, 2nd, 3rd John and of course the Book of Revelation although the actual author was Jesus Christ (Rev 1:1). The Apostle James may have been the first apostle to die for his faith because he was one of the most outspoken and given the fact that King Herod killed James, it could have been James propensity to speak boldly for Christ and speak against the evil that King Herod was well known for. Either way, the Apostle James was completely changed…by the power of the Holy Spirit. He was impulsive, outspoken, easily provoked to anger, and highly impulsive and at one time had a so-called “hair trigger” but like John, who became known as “the apostle whom Jesus loved” (John 13:23), became a new creation in Christ (2 Cor 5:17) and was forever changed and today is one of the 12 apostles that will be ruling or judging the 12 tribes in Israel in the coming kingdom of God (Matt 19:28). That’s who the Apostle James was. Thank you for sharing this biography of James with us. I found it interesting and informative. Thank you sir. I have noticed that you are always encouraging. It is like Barnabas is still alive through you! But really it is God’s Spirit, no doubt but many thanks Jim. BTW, loved your website after checking it out. Very nice sir. I appreciate the kind words, thank you. I pray that God blesses you today. Hello Jack, Thank you for the Apostle James’s biography,I found it very interesting. however, I found confusing the “James “(who wrote the book of James) that he was only half brother to Jesus. I Would also find interesting the reasoning, why was he half brother to Jesus? Thank you friend. James was Jesus’ half brother because although they had the same mother, Mary, they didn’t have the same father. James father was Joseph but Jesus father was the Father in Heaven. Make sense sir? this helped me to learn a lot about james,thank you for writing it. Next post: What Is Divine Providence? Is It Biblical?